Every cleaning business has to develop their own sets of standard letters, business forms and service agreements. These can take a while to develop but once you have a basic form or business letter template you can reuse it over and over again, making only small adjustments to customize it for each case. This can save you a lot of time and make your cleaning business more efficient. Getting your own set of paperwork together can take time but luckily there are many options available for acquiring basic templates for these letters and documents online. Once you have purchased a set you then only have to make slight adjustments to it, customize it with your own company name and logo and then you have your own unique work for convenient use for any occasion. There are also many forms you can find by doing a simple Google search that you can use as an example to construct your own. 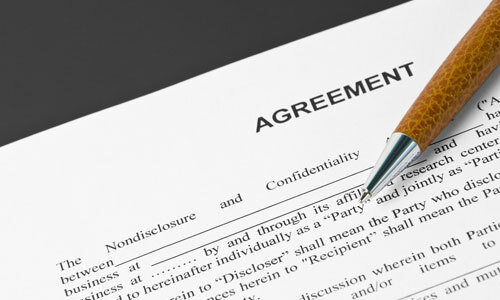 Don’t be overwhelmed by the thought of creating your own agreement. Let’s consider some of the cleaning business forms, templates, letters and other documents that you need when you start a cleaning business. Firstly, you will need a service agreement. This is a basic contract setting out the terms under which you will be providing cleaning services. It should cover such things as company names and contact details, services offered, prices, conditions for gaining access to the property and working, what equipment will be provided by which party, if cleaning products are environmentally friendly, taxes, insurance (in case of property damage) and vacations. You will also need forms related to the financial side of running a business. It is great if you have some real industry examples of invoices and receipts that you can adapt into your own template with your own branding. Letters for every situation that may arise regarding your businesses cash flows, such as an overdue account letter can quickly be put together and sent out if you have a standard letter ready. You will also need forms and letters to assist with your customer relationships. You should have a standard ‘client details’ form ready for each customer’s details and preferences to be filed. You also need customer feedback surveys and a series of letters welcoming new customers and dealing with various other complaints and issues. Other documents that you should have available include letters for applying to bid on commercial accounts, forms and agreements for managing cleaning staff and equipment maintenance logs.